The Normandy Overnight Tour is memorable. 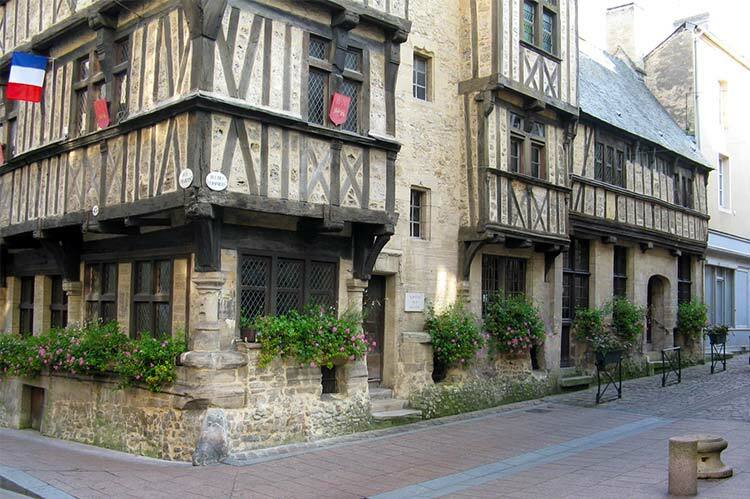 Our overnight tour to Normandy includes a stay in Bayeux, Normandy. You will visit the Caen Memorial Museum and do a D-Day tour on the first day. The following day, you can enjoy Bayeux. Normandy Tour Duration: For tours beginning on a weekday, the train from Paris arrives at 8:57 AM (with a Paris departure at 6:45 AM). For Saturday and Sunday tours, the departure times from Paris are later. The round trip Paris/Normandy train tickets are not included in the price, but we will help you get the tickets, if you wish. Vehicle: Deluxe air-conditioned minibus that seats 8 guests. You will meet your driver guide for your Normandy D-Day tour when your train arrives from Paris at the Caen train station in Normandy. The Caen Memorial Museum will be your first visit and there you will have a guided tour of the WWII Battle of Normandy section of the museum. Then you’ll have lunch at the Caen Memorial before departing for a 5 hour guided tour of the D Day sites. You will visit Pointe du Hoc to see where members of the United States 2nd Ranger Battalion scaled the cliffs to attack a German gun battery. Your D Day tour will continue to Colleville-sur-Mer to the American Cemetery that overlooks Omaha Beach. There you will want to explore the Visitors Center and the Cemetery. If time permits, you could walk down the path from the American Cemetery to Omaha Beach. Arromanches will be the next stop. This is the location of Gold Beach (where the British landed on D Day) where you get to see the remains of Winston Churchill’s Mulberry Harbor. After the tour, you will be driven to Bayeux to your hotel for the night. Your day will begin with breakfast at your hotel. Today is for you to explore Bayeux on your own. You’ll have entrances to the Bayeux Tapestry as well as to the Battle of Normandy Museum. When you’re ready to return to Paris, you’ll have a taxi to the Bayeux train station for your departure train. $330/person based on two people double occupancy (twin rooms available). Please use the form located on the right to give us your dates for this Normandy Overnight Tour. We will then send you an invoice and confirm the tour.